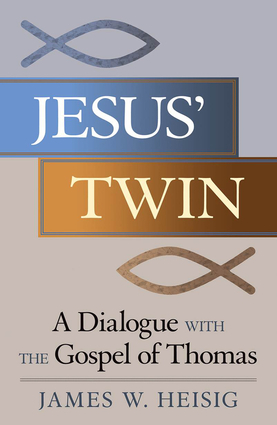 In Jesus' Twin, a scholar shares his personal reflections into the Gospel of Thomas offering a learned, accessible introduction as well as inspiring insights into these ancient texts that have long stirred curiosity and inquiry. James Heisig, who has read and studied the texts throughout his distinguished career as a scholar and teacher of religions, shows that the reasons for excluding the Gospel of Thomas from the Christian tradition are largely meaningless for us today. After more than half a century of concerted dialogue with other traditions, we are in a better position to recognize that not every alter Jesus is a Jesus alias. At the same time, attention to the spiritual demands being made on Christianity by our present age helps draw us more deeply into the text itself and control the tendency to immunize ourselves against its discomforts, whether through the distractions of scholarly disputation or the preoccupation with preserving orthodoxy. James W. Heisig is a professor of philosophy at Nanzan University and a permanent fellow at the Nanzan Institute for Religion & Culture. He is the author of several books, including Dialogues at One Inch Above the Ground, Japanese Philosophy: A Sourcebook, Nothingness and Desire: An East-West Philosophical Antiphony, and Philosophers of Nothingness.